The 1869 home of Joseph and Susanna Dickinson Hannig was saved and deeded to the City of Austin in 2003. Joseph Hannig built this home in 1869 for his new wife, Susanna Dickinson. She survived the Battle of the Alamo and carried the news of its fall to Sam Houston, which ultimately led to Houston's defeat of Santa Anna at the Battle of San Jacinto and won independence for the Republic of Texas. For this deed, Susanna Dickinson became known as the "Messenger of the Alamo." 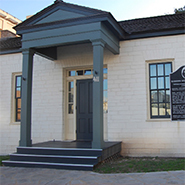 Her home was saved, restored and opened as a museum on March 2, 2010, Texas Independence Day. The museum is the only remaining residence of Susanna Dickinson. The home is considered a “rubble-rock” house, a style of architecture brought to the Texas Hill Country by German immigrants. Inside the museum are rare Dickinson family artifacts, as well as furniture produced by Hannig. The couple lived in this house for six years, until 1875, at which point they moved into the area of town known as Hyde Park. Please stop by and let our docents show you the house and recount the vivid stories of the survivors of the Battle of the Alamo. 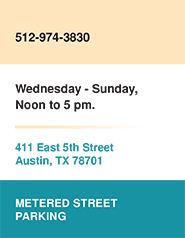 The museum is part of Brush Square Museums, three historic museums consisting of the Susanna Dickinson Museum, the O. Henry Museum, and the Austin Fire Museum. The Dickinson and O. Henry Museums assist in running the Austin Fire Museum, operated by the Austin Fire Museum Hook & Ladder Society.